A BARN REVIVAL is going to sweep the highways and byways of the United States. But what precedes this significant move of God is a barn-raising. 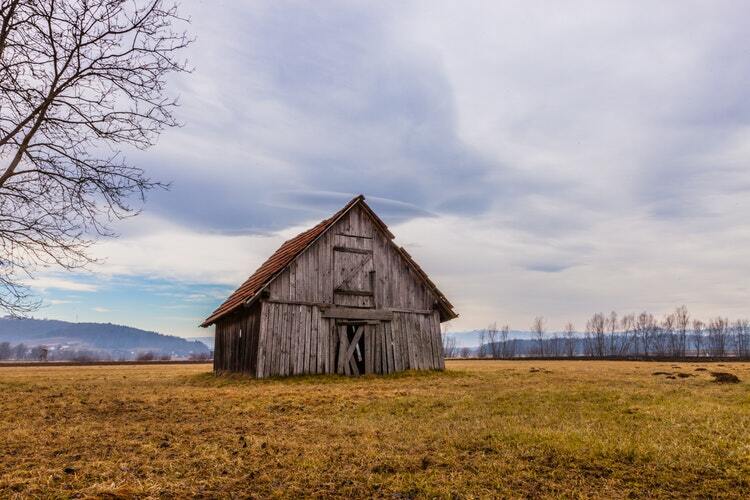 In the previous installment of the Barn Revival Series, I wrote in The Coming Barn Revival that there was a special grace from heaven for believers to band together for the purpose of a barn-raising within their community. Though not restricted to this window of time, much acceleration will transpire in this three year period from 2017-2020. Going back a few hundred years, community events known as barn raising were the norm. Communities banded together to either build a barn from the ground up or help rebuild a fallen barn in disarray. Oftentimes the survival of a farming family depended on the generosity of their fellow neighbors within the community. This custom became quite the norm. Many farming families over the centuries would not have survived if it had not been for this custom. It is a powerful reminder that we need one another. 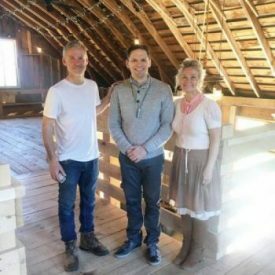 Recently Jason Hershey, founder of David’s Tent in Washington, DC, shared a touching firsthand account from his childhood of the impact of barn-raising while growing up in Lancaster, Pennsylvania. When I was in high school, a sudden storm took the roof off our dairy barn [that held 48 cows] and destroyed our livelihood as dairy farmers. All our Amish neighbors gathered a week later and build it all back in 1 day! It’s called a “Barn Raisin’”. When my mom had liver disease and was in the hospital one autumn, those same neighbors rallied and harvested all of our family’s crops in one day. Lancaster County Pennsylvania was a great place to grow up. What a testimony of the power of barn-raising! The surrounding community rallied to stand with the Hershey family in their moment of need; the community accomplished in one day what his family could not have done on their own in such a short frame of time. What is happening across this nation as believers band together in the bond of Christ’s love to raise up barns will foreshadow what the Holy Spirit desires to orchestrate in every community across the United States (and abroad). Sons and daughters of the Lord of lords working hand-in-hand, compelled by love, to see the harvest harvested for the fame of the King of kings! Back in the spring of 2016 as I prayed into the coming barn revival, the Lord showed me ten specific cities He was highlighting for a barn raising. Meaning: the community would band together as one in order to either restore a fallen barn or build one from the ground up. These humble barns would be used of God to extend His kingdom within their respective communities. For many, the barn raising process itself will be the starting point for true unity in Christ to be demonstrated within communities. In 2017 I met a couple, Dale and Sharon Glasgow, who owned Glasgow Farm. They went through a God-ordained barn raising to restore their 1937 barn. (Their God story will be shared in more details in a future blog post.) As I stood on their property and listened to their miraculous barn raising testimony, it was as if I was experiencing firsthand what I had seen in the secret place before the Lord. It confirmed deep in my heart that this was indeed the Lord. The Glasgows use the barn as a venue for weddings, but they also plan to host gatherings to worship and exalt Christ. Now I want to share the ten cities (and regions) the Lord highlighted to me that He is calling to engage the barn-raising process from 2017-2020. There will be many others across the U.S. who will hear the Lord’s call to engage this barn raising process, but aren’t located in any of these cities. This is not an exhaustive list. It is simply a select few whom the Holy Spirit chose to emphasize. I felt led to insert an eleventh city; I want to charge you to prayerfully ask the Lord about a barn raising in your own region that the Lord might have on His heart. Take a moment to share in the comment section below the name of the city and state that you believe the Lord is highlighting. This will allow us to pray over such key cities and regions for God-ordained barn-raising moments to transpire. Over the course of this month, I will share more in-depth what I believe the Lord is saying more specific to each of the ten cities I mentioned. Also shortly after scribbling these ten cities down in ’16, I misplaced the sheet. Keep in mind that I have tons of notebooks in which I journal, write, and keep track of prophetic words from the Lord. In other words, it is easy to misplace such a sheet of paper. It was nowhere to be found. Since it had been over two years, I couldn’t even recall verbatim all the places the Holy Spirit brought to my attention on that spring day years ago. Then out of the blue I came across it recently as I was searching for something else. I was stunned to see how the Lord had even connected me with key leaders (since ’16) from these specific cities. If you know anyone in those designated cities, please share this link with them to encourage them. Perhaps this blog post will be the very encouragement they need to step out in faith to pursue the Lord’s call to this barn raising moment. Brian, thank you for sharing the highlighted regions. We would consider it an honor to add Troy, MO. to that list. The timing of the first barn raising word has added fuel to the excitement of what the Holy Spirit is doing in this region and among the Body of Christ. We were deep into the planning stages and had just received the 501c3 status for our upcoming praise event “Worship in The Red Barn” when you released the the barn raising word. Imagine— twelve consecutive hours of praise and worship with over 20 ministries coming together in unity to lift up the name of Jesus. We invite everyone to join us in Troy, MO on Oct 6th from 9 am to 9 pm. May God continue to bless and keep you Brian. God’s timing is always on point. Pastor Rob, what a joy it is to read of your barn testimony. I marvel at the timing of where you are in this process in conjunction with the release of this prophetic word. Testimonies like yours are coming forth from all over the United States. Be encouraged as you continue this barn-raising moment in preparation of the coming harvest. Thank you for your obedience unto Christ! Please pray for Beaumont, Texas. God bless you. Yes, we lift up this city to you Father. Strengthen your bride within this region. We especially ask for your hand to move upon those with barns that are to be used for your glory. And I especially pray for an Act 2:1 work within your bride in Beaumont, Texas: “And when the day of Pentecost was fully come, they were all with one accord in one place.” We pray for the bride of Beaumont to be in “one accord” and not scattered about. Amen. Thank you for you posts. They inspire us to total abandonment to the unvailing in our Hearts and minds to all that pertains to Christ and His Glourious Kingdom..
Gail, I can’t wait to come visit! Thank you for your steadfastness in holding onto the promises the Father has spoken deep in your heart. You are a woman of the promise whose example will inspire countless others to stand strong in the face of adversity concerning the promises of God for their lives, families, and region. Blessings! Already happening . Many blessings to you as you continue to unfold what the Lord is saying. Amen! I marvel at the goodness of God in all that’s unfolding through your simple obedience unto Him. Please pray for Paisley, Oregon. Thank you and His Bless. Pamela, thank you for taking the time to read this blog post in the BARN REVIVAL SERIES. Is there any movement in this direction in your region? I just looked up Paisley’s location and I see you’re in the south central part of the state. My wife and I actually spent our honeymoon in Oregon back in ’01. Wonderful memories. We spent a week at Cannon Beach, a weekend in Lake Oswego, then a few days in Mt. Hood followed by a brief stay in Albany after visiting Sisters. But I do’nt think we were close to you. Wonderful memories. Hello my name is Tina King. The Father has sent me to the region of Helena & West Helena Arkansas to be a help to Still Standing Ministries and Apostle Steven Cannon. Helena is one of the most dangerous cities to live in the United States. Apostle Steven Cannon is birthing a Unity Movement in the region . Unity & Destiny coming together to bring restoration to a very dry land. Please add Helena, West Helena Arkansas to the list also. Thank you very much! God richly bless you brother! Tina King. Tina, thank you for visiting my website and taking a moment to comment. I’m excited to hear that the Lord has sent you to a specific region in Arkansas. Tell me how far are you in proximity to Conway, Arkansas. God bless you Tina!